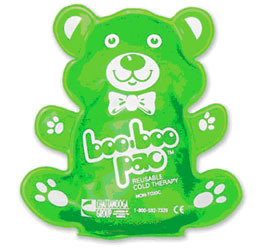 Reusable cold pack just for kids formed in an adorable bear shape, filled with nontoxic silica gel, delivers up to 30 minutes of soothing relief of acute pain, swelling, and fever. Combines controlled compression with cold to provide optimal control of swelling, edema, hematoma, hemarthrosis and pain. Simplicity of design and ease of operation make it ideal for the ER, post-op, training room, and home. 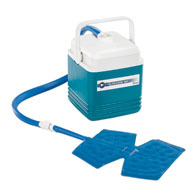 The Iceman Cold Therapy unit helps reduce pain and swelling and facilitates rehabilitation. 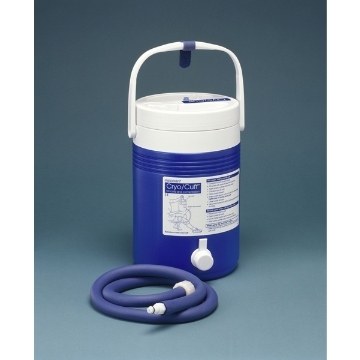 It provides up to 7 hours of continuous cold therapy for a variety of indications. Using a patented semi-closed loop system, the Iceman maintains a more constant and accurate temperature than competitor's systems. BREG's "plug and play" unit, the Polar Care 300, uses pneumatic power to provide regulated temperature control, while still maintaining motorized cold therapy for a period of 6 - 8 hours with each ice change. Smaller and lighter then the Polar Care 500, which makes it easier to carry and store, and at the same time it still provides motorized cold therapy for a period of 6 - 8 hours. Its size and weight make the Polar Care 300 an economic and practical choice. An innovative, pneumatic design that automatically maintains an average operating temperature range between 45 - 55 degrees, while maintaining a constant pad pressure. 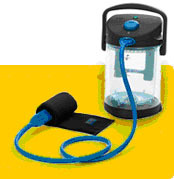 A manual pump may be used used when electricity or power supply is unavailable. 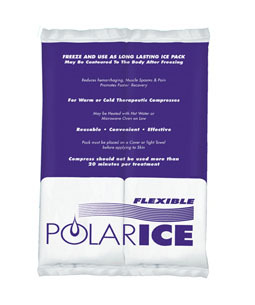 For cold or warm compression, Freeze and use as a long-lasting pack, May be contoured to the body when frozen, Heat in water or water covered in microwave. 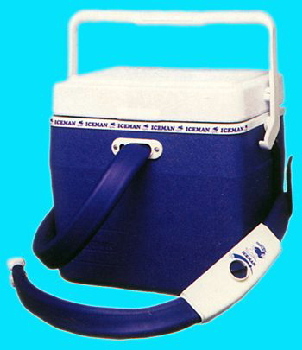 Smart, portable, user-friendly device delivers a proven combination of performance and safety; Composed of a control unit, tubing set and thermal wrap; Compatible with any of the thermal wraps in the VitaWear line; Rechargeable battery pack makes the system fully portable; Dial-operated ice water canister maintains temperatures at a safe 40-70 F; Clear plastic construction makes it easy to monitor and refill; 8" diameter X 11.8"H; Weighs 5 lbs. 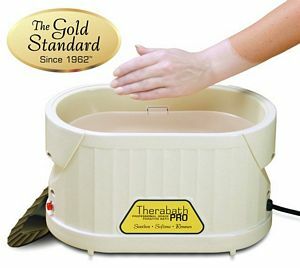 Personal, therapeutic, pain management system; All-in-one system that combines heating, cooling, and compression; Used from earliest stages of post operative recovery through rehabilitation, to post recovery home use for treatment of chronic pain or injury; 120 VAC, 60Hz, 300 Watt; Heat ranges from 40F-105F; Designed to help reduce pain and swelling; Reservoir holds 1.1 gal of ice water; 13.5"H, 8" diameter; Weighs 5 lbs. ; 6'-long fluid tether.